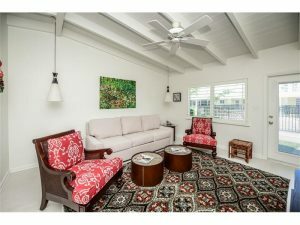 Own a piece of paradise on the world famous Siesta Key Beach. This charming & open concept studio unit has been completely & beautifully renovated with distinctive designer touches & furnishings. Casa Mar offers two pools, tennis, volleyball & shuffle board courts, picnic areas with gas grills & a wonderful rental program for the investor in all of us. This is a “must see” on Siesta Key.